TechnoVisual supply CD and DVD duplication and replication, disc printing, printing plus a whole range of disc packaging in house both for short runs and larger volumes . For more details and pricing for the short run premium packs we supply in-house (up to a quantity of 100) please visit the various sections below, please use the red link section below to take you to the packages you are looking for. For longer runs of 100 or more, we can offer a larger choice of packages including: Digipacks, Digifiles, Digisleeves, Lancing packs and Card wallets, plus either duplicated or replicated discs. We can even supply Vinyl Pressing and Packaging if you're interested - see Vinyl Page! The quality, costs and turnaround times for both short and long runs are excellent. There is no set up cost for longer runs, but we do offer a full prototype on most short run packages and we send this to the client for review before starting the run. and also gloss spot UV varnish on matt laminate - please call for exact costings. also gloss spot UV varnish on matt laminate - please call for exact costings. TechnoVisual specialises in high quality discs and packaging, as well as supplying large volumes we can also provide extremely short run projects, even just the one package, if this is required! All Short runs are made up in-house mainly by hand and the prices for packages are shown in the sections below. For more info on discs and disc prices please go to the Disc Duplication/Printing Page. FOR A QUANTITY OF 30 upwards the price is as quoted in the listings and tables below for packages and for discs please go to the disc duplication and printing page. IF YOU ARE INTERESTED IN VOLUMES OF 200 OR MORE OF THESE PACKS, WE CAN OFFER SOME EXCELLENT PRICES. EXAMPLE PRICES SHOWN BELOW INCLUDE A PROTECTIVE AQUEOUS SPRAY COATING, PLEASE ASK FOR PRICES SHOULD YOU REQUIRE A HIGH GLOSS OR MATT LAMINATE COATING. WE CAN ALSO OFFER 6 PANEL AND 8 PANEL DIGIPACKS. WE CAN ALSO OFFER OTHER PACKAGE TYPES SUCH AS LANCING PACKS, DIGIFILES AND DIGISLEEVES WHICH HAVE POCKETS INSTEAD OF TRAYS FOR THE DISC (SINGLE OR DOUBLE PACKS). This pack is made from thick 350gsm recycled Kraft Card and has two pockets inside which can hold two discs or a disc and a booklet or notelet. Printed on 300gsm satin card (each layer). 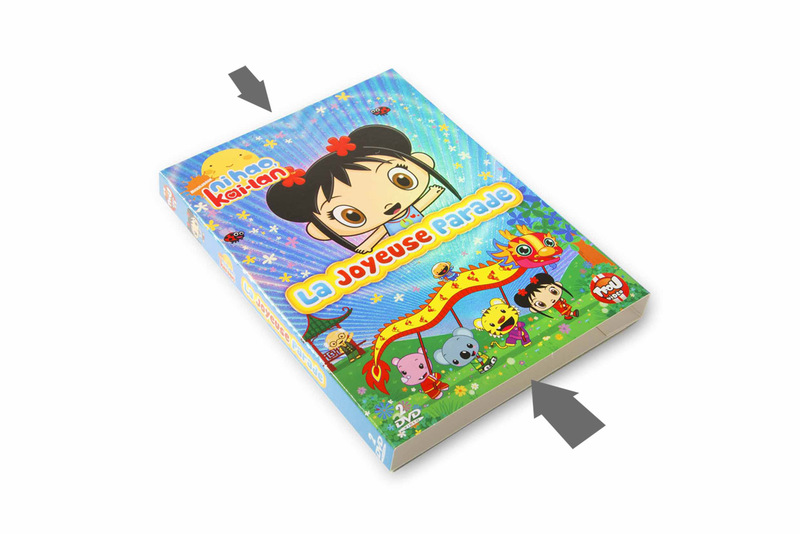 This pack has 4 panels, which can be printed with your artwork. This is an all card pack with a pocket for the disc. The pocket has a large half moon shape edge. This pack can either be printed and opened like a digipack or jewel case (see images on the right), or printed with a 90 degree turn and made up so that the flap opens from bottom to top like the images shown on blue below. FOR QUANTITIES BETWEEN 30 AND 100 @ £1.75 each. As well as the 'Per Item' prices shown below, for quantities up to 100 there will be the addition of the one off set-up cost, including a full prototype, which will be sent to you for review; £22 inc delivery plus vat. There will also be a delivery/packaging cost for the final packs, if we need to send it to you either; Royal Mail at £5.60 plus vat for up to 1kg and at £8.60 for up to 2kgs, alternatively we use UPS courier at £11.50 plus vat for packs over 2kgs. Vat is charged on top of all prices shown. CIRCULAR SEALS - we can supply 2 types of circular clear seals to go with these packs to seal down the flap if this is something you require, neither seal will damage the artwork. See images below. We only use High Quality Professional Range Jewel cases. 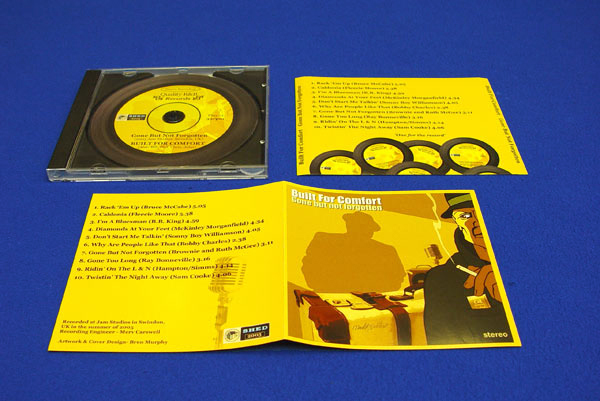 ~ A Jewel Case prototype consisting of two inserts (up to 4 pages) plus CD = £15.00 plus vat incl. postage. 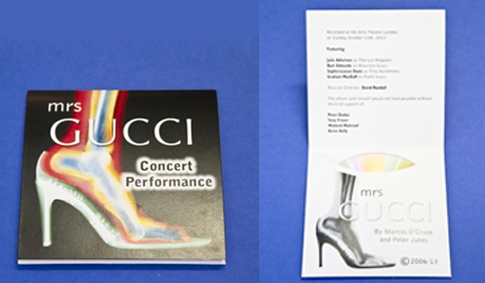 ~ A S/L Jewel Case prototype consisting of one insert (up to 4 pages) and a CD = £10.00 plus vat incl. postage (not mandatory). ~ If a thicker booklet is added to any of the above packs the set up/prototype cost increases add a further £1.00 plus vat per page after the first 4 pages. TechnoVisual uses silk or matt 135gsm premium paper printed digitally for all our CD booklets and inlays, for thicker 160gsm paper add 10% to the prices below. Slimline Jewel case with front card inlay - A slimline Jewel case with front gloss or matt card inlay on 300gsm silk, including packing - one side print @ 70p each and two side print @ 80p each. Slimline Jewel case with front booklet style inlay - A slimline Jewel case with front booklet style inlay 4 panels (2 leaves) - 135gsm gloss paper printed on outside 2 panels only (one side print) at 70p each and 4 printed panels (two side print) @ 80p each. 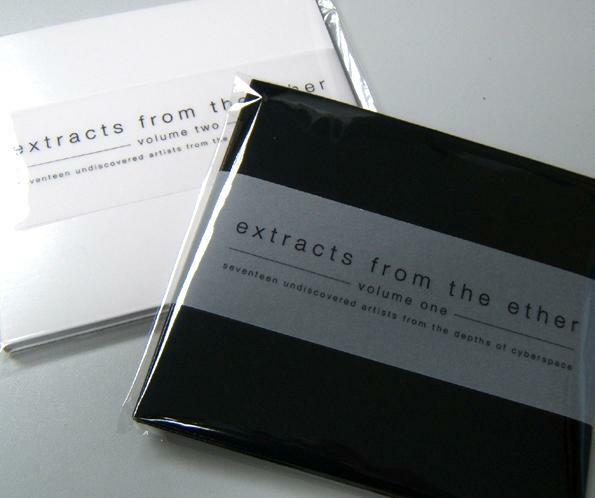 Slimline Jewel case with 8, 12 or 16 printed page front booklet style inlay plus staples - A slimline Jewel case with front booklet style inlay 8 printed panels (4 leaves) - 135gsm silk or matt paper printed @ £1.25 each and 12 printed panels (6 leaves) @ £1.75 each and 16 printed panels (8 leaves) @ £2.25 each. Slimline Jewel case with 8 panel cross fold poster inlay - A slimline Jewel case with front 8 panel cross fold inlay - 135gsm silk or matt paper @ £1.20 each. Slimline Jewel case with 12 panel folded poster inlay - A slimline Jewel case with front 12 panel folded poster style leaflet on 135gsm silk or matt paper one side print @ £1.45 each and two side print @ £1.65 each. Standard CD jewel case with black tray and card front inlay - A standard jewel case with black tray plus a back silk or matt tray inlay plus spines on 135gsm (one side print) and silk or matt card front inlay on 300gsm (two side print) @ £1.20 each. 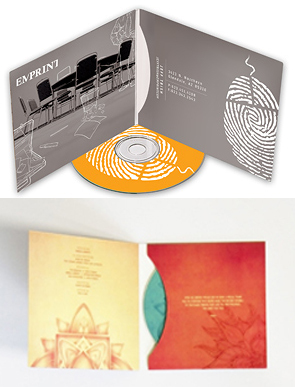 Standard CD jewel case with one side printed back inlay and booklet - A standard jewel case with black tray and a one side printed back inlay, with a front 4 printed page (2 leaf) booklet. Inlays printed on 135gsm silk or matt paper @ £1.20 each. Same option but with a 2 printed page front booklet inlay, the inside 2 pages are left blank @ £1.10 each. Standard jewel case with black tray, one side printed back inlay and stapled booklet - Same option as above with 8 printed pages (4 leaves) - 135gsm silk paper printed @ £1.70 each and 12 printed pages (6 leaves) @ £2.20 each and 16 printed pages (8 leaves) @ £2.70 each. Standard Jewel case with black tray and 12 panel folded poster inlay - A standard Jewel case with black tray,one side printed back inlay on 135gsm matt or silk paper and a 12 panel folded poster style leaflet on 135gsm gloss paper one side print (6 panels) @ £1.80 each and two side print @ £2.05 each. 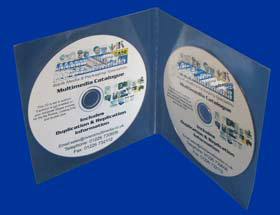 **Standard CD jewel case with clear tray two side printed back inlay and two side printed card front inlay - A standard jewel case with a clear tray and a back silk or matt tray inlay plus spines 135gsm (two side print) and gloss or matt card front inlay 300gsm (two side print) @ £1.35 each. Standard jewel case with clear tray, two printed side back inlay and 2 side (4 page) printed booklet style front inlay - A standard jewel case with clear tray and a two side printed back inlay, with a front 4 printed page (2 leaf) booklet on 135gsm silk or matt at @ £1.35 each. Standard jewel case with clear tray, two printed side back inlay and stapled booklet style front inlay - Same option as above with 8 printed page (4 leaf) booklet on 135gsm silk or matt at @ £1.85 each and 12 printed pages (6 leaves) @ £2.35 each and 16 printed pages (8 leaves) @ £2.85 each. Standard Jewel case with clear tray and 12 panel folded poster inlay - A standard Jewel case with clear tray plus a silk or matt back tray inlay plus spines on 135gsm (two side print) and a 12 panel folded poster style leaflet on 135gsm silk or matt paper one side print @ £2.10 each and two side print @ £2.30 each. We can supply DOUBLE DISC Standard size jewel cases - These cases have a sturdy black or clear hinged two disc swing tray and clips for a front printed inlay, they can also take a printed back tray inlay with spines and this is kept in place by the hinge on the swing tray. For this option use the above 5 prices for the standard size jewel case but add an extra 10p each. We can also supply 3-Way jewel cases - These cases are twice as thick as the single or double standard jewel case (23mm), they have a sturdy black hinged single disc swing tray and clips for the extra discs. This pack takes two tray inlays with spines, single side printed inlays @ £1.35 each, if both sides of the two inlays are printed @ £1.45 each. PLEASE ASK FOR PRICES ON 4-WAY AND 6-WAY JEWEL CASES. UPS courier at £11.50 plus vat for packs over 2kgs. Vat is charged on top of all prices shown. 2) Printed 2 Panel Card Wallets With Flap - printed on high quality card 300gsm (600gsm in total) with the artwork of your choice and with a printable flap. We would suggest that nothing important artwork wise is put on the back of the pack under the closed flap and it is advisable to also purchase seals or plastic over sleeve with this option - see below. We do insist on making up a one-off prototype (£20.00 or £25.00) with all our printed card wallets and sending this off to you for your reveiw and acceptance before we carry on with the run (not needed again for future runs)- please see prototype section below. Printed card insert in a plastic wallet - printed onto high quality card 300gsm with the artwork of your choice - single side print 65p each and double side print @ 75p each. 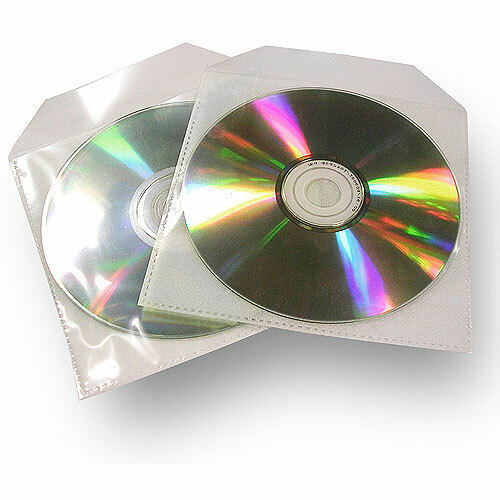 Double Fold Out Plastic Wallets - including packing of 2 discs. If both sides of the booklet/card insert are printed, then the inside printed panels are fully visible when the discs are taken out. 1) PRESENTATION BOXES MADE IN HOUSE FOR ANY NUMBER OF JEWEL CASES OR DIGIPACKS - TechnoVisual can supply sturdy white card presentation boxes with one closed end, the other end is open showing the titles on the spines of each case within and can have a thumb cut out. 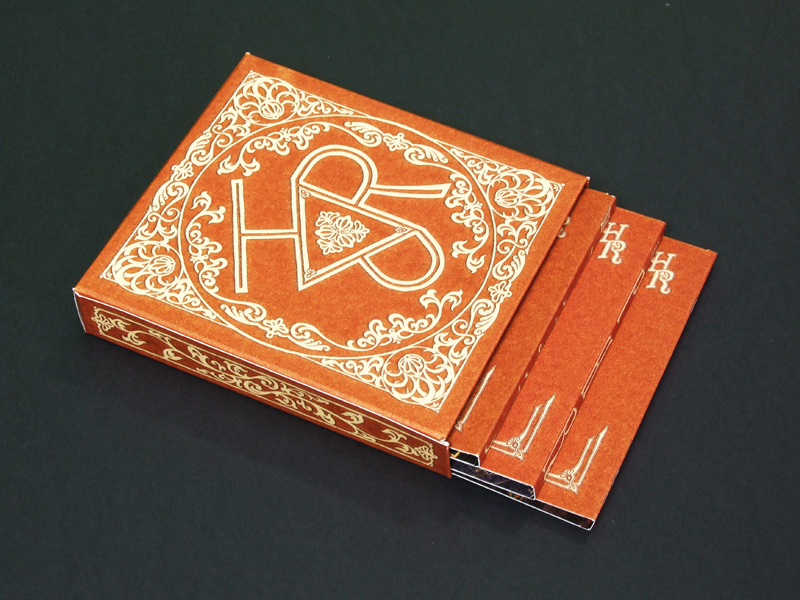 These are lovely bespoke boxes, which can be printed from artwork supplied. We will supply the template for the size of box you require, however, if it we do not have the template available already for the size of box you require, there will be an initial template development and testing cost, which could be around £50.00 plus vat. We also insist on charging a set-up/full prototype charge for these boxes as they are so bespoke and we make them up compeltely by hand. The only way to check that your artwork will work correctly on the pack is to make up a full prototype, which we will send to you for review. This charge will vary depending on the package type and size. DISC & PHOTOS ARE NOT INCLUDED IN ALL THE PRICES FOR THE THREE PACKAGE RANGES BELOW. JUST DECIDE WHICH PACKAGE YOU WOULD LIKE. WE CAN SEND YOU A TEMPLATE FOR THE DISC AND CORRECT PROPORTIONS FOR THE PHOTO (THE LARGE MODERN RANGE TAKES 2 PHOTOS) OR FOR A COST OF JUST £6.00 PLUS VAT JUST SEND US YOUR FAVORITE GOOD QUALITY PHOTO VIA EMAIL FOR THE DISC AND PACKAGE AND WE WILL CROP IT TO SIZE AND PRINT IT ON THE DISC FOR YOU. THE DISCS USED ARE VERY HIGH QUALITY AND THE PHOTO IS PRINTED WITH A TOP OF THE RANGE EPSON PRINTER ONTO HIGH QUALITY PHOTO CARD. WE USE A HIGH QUALITY FALCON DISC WITH A PHOTO GRADE PRINT SURFACE AND SATIN FINISH. DELIVERY - for up to approx 4 cases with DVDs @ £5.50 plus vat (depends on package type). finish with gold text detail, black exterior with silver text detail and burgundy velvet interiors. Cameo DVD include an inlaid Cameo, with a template to make inserting your own personal picture a quick, very easy and fast operation. A fabulous way to enhance any DVD. These cases can take 3 or 4 discs. Two discs directly on top of each other on each side. - These cases are presentation products. They have a luxury embossed leather look finish. - Each case has two magnetic catches and a pocket to hold up to a 4" x 4" photo (actual visual aperture size 67 x 6 mm) on the front cover. - On the inside of the single disc case is space for another larger photo, size 95 x 120 mm. TechnoVisual have experienced graphic designers on hand who can help in the design of the artwork for your disc face, packaging or any printed promotional material and this service is charged at £35.00 per hour plus vat. Our designers will work with you to get the look and feel you are wanting. We will keep you updated throughout the design process and send you proofs by email to make sure we are going in the right direction. All we need from yourself is any ideas you may have on things like font, colour, background and style and any images or photos you want to include. Once we have designed the disc print face, package or print material for you, we will follow our normal protoype or proofing service as explained below. Emailed proofs are always free of charge and but we do insist that you accept our proof or full prototype service for most of our printed packaging e.g. jewel cases digipacks and printed wallets. Afterall, this way you can be sure of your package and how it will look and feel before committing yourself to the full print run (see details in section below, unfortunately we can only offer an online proof with long run prints). TechnoVisual are happy for you to provide your own artwork and we will give you all the templates, guidelines and support you will need for this when you make an order. We do ask that you use our specific templates and instruction so that we can be sure that your final submission fits in with our requirements/guidelines for printing. IF YOU ARE INTERESTED IN ANY OF OUR DISCS OR PACKS AND WISH TO ORDER EITHER A LONG OR SHORT RUN - LET ME KNOW WHICH ONES AND WHICH FINISH YOU ARE INTERESTED IN AND I WILL SEND YOU A FULL QUOTE PLUS THE TEMPLATES AND INSTRUCTION YOU WILL NEED FOR YOUR ARTWORK AND MASTER. 3) Please do not take any text or graphics too close to the cut or fold marks - if possible leave at least 3 - 5mm margin. Most of our templates show this 'safe area' and we would ask that all text and important graphics are kept inside this area, it always looks bad if text especially is taken right up to the edges of the pack. 4) If you are supplying your own artwork for the project, we would ask that you make sure it is a FINAL VERSION as future changes and re-works would be subject to further set up charges. Our set up and colour profiling process can be quite long winded for some packages and artwork, if the client submits artwork and then decides to change it in any way, we then have to go through this set up process a second time - the profits we make with short runs are very small and so we have to pass this extra labour and material cost back to the customer. We always strongly suggest that you take up our proof print option so that you will see how your print will look and have chance to proof read it if necessary before we start on the run. If you are not happy with the finished run then we can not be held responsible if you have not seen a proof first. 5) The main printers we use in-house are Xerox digital CMYK printers, although they will simulate RGB very accurately as well. We would still prefer that artwork is sent in CMYK mode please because this way it is much more likely that the final colours of the print will look very similar to those you see on your computer screen, whereas conversion from CMYK to RGB mode can sometimes give some interesting results. We use only high quality discs and top of the range Epson or thermal printers for our discs in-house and all large volume prints are done with either offset or screen printing. CMYK artwork is essential for larger volume printing please. We spend more time than most printers will on colour profiling in house and we do change our printer settings if we think this will be of a benefit to the look of the artwork, ensuring that we get as high quality and colour accurate print as possible. However, you may find that the results we get differ considerably from any print out you make on your printer at home, colours can vary hugely depending on the type of printer, the quality and type of inks and the colour and type of media used. If you are concerned about the colours on your print, it may be an idea to print out your artwork first to your taste and then send in this print so that we have a physical print to use as a guide, however, any excessive time spent on colour matching will incur further charges (unfortunately we can't offer this service or offer a physical proof for large volume printing). 6) Artwork always looks good if the text appears very crisp and sharp, and a good high resolution helps here, our templates are sent out as 300dpi but there is no reason why you shouldn't increase this if you want to. Also if you are sending us an editable file we would recommend that you either embed the text (if using design programs such as Illustrator) or send us all the fonts you have used for your artwork, this way we can ensure that they stay as vectorised high resolution text. 7) FULL COLOUR PRINTED DISCS - Regarding artwork for the disc print surface if the disc is printed in full colour print, we are happy that you send the artwork as a solid circular or square image, PLEASE DO NOT CUT OUT THE INNER HUB CIRCLE FROM YOUR IMAGE, we ask that you let us deal with this, just make sure that you don't put anything important like text in this hub area. DISK MATCHING - We do need to also point out at this point that we will try to match the disc to packs if this is required as closely as possible, however the printing method and surface type on discs is completely different to that used for our package products, therefore it can be difficult to get an exact match. 8) THERMAL BLACK TITLE DISCS - For black titles and simple images such as logos (black only no greyscale). Please input the text and simple images using the template we supply and leave a good margin round the edge of the disc and at the hub area. This type of print is not meant for detailed images such as photos and we can not use it for full disc coverage e.g. a full black background (50% coverage max). Lastly, should you want to add text or an image in a ring around the edge of the disc, the cost will increase as this is equivalent to a full disc print for this print method. We can either use shiny silver or white discs for thermal printing. 9) ARTWORK FORMATS - The best format to use for your artwork is a PDF files as this is the preferred format used by most commercial printers, though we can deal with most formats if necessary. The file can be flattened or compressed but try and keep it as high quality as possible and please remember to either take out the template layer or make it invisible. If you send us a layered/editble file we are happly to make any small tweaks if it aids the print output but we will always tell you first and we will never change your artwork without informing you before hand, we always prefer that any changes, which may be required, are done by the client or their designer. 10) COPYING COPYRIGHTED MATERIAL If you are going to use covers of songs written by other artists or full songs or music recorded by the original artist in your production, then you will probably be subject to copyright laws, even if you are not selling the CD or DVD copies. It is the client's responsibility to make sure he has the correct license when making copies of copyrighted material. Please refer to the Music Licensing page of the TechnoVisual website, which describes in plain English everything you need to know about the MCPS licensing for using copyrighted material. If you are using someone else's music or songs, please allow for this cost in your budget, it is the responsibility of the customer to make sure you have the correct licenses required if you are using copyrighted material. We also ask that you do not use copyrighted images from the internet in your artwork without buying the license to use them. We are not allowed to print copyrighted material. a) By Email - We can accept files up to 8mb in size, however, your email provider may not allow files of this size to be sent. b) By Post (most ideal option if you are sending in a master disc anyway) - If you burn all your artwork onto a CD you can pop it into an envelope and send it in to us for the price of a first class stamp. It is a good idea to send us your master disc for duplication at the same time (clearly marked please). See below for the address to send it to. c) Use a file share service such as: WeTransfer or Dropbox, this method also allows you to send large files easily and quickly and normally at no charge. THE MASTER CD OR DVD MUST BE SENT TO US IN DISC FORM (AUDIO CD OR DVD FORMAT) SO THAT A DIRECT COPY CAN BE MADE USING OUR DUPLICATORS (SEE ADDRESS ABOVE). PLEASE LET US KNOW IF YOUR DISC INCLUDES ISRC CODES AND/OR CD TEXT. WE DO EXPECT FULL PAYMENT EITHER ON ACCEPTANCE OF THE ORDER OR IF THERE IS A PROOF/PROTOTYPE THEN ON ACCEPTANCE OF THIS. NAME OF ACCOUNT: TechnoVisual Ltd. If you do use a bank transfer, we would appreciate it if you let us know at the time of payment via email or phone call. Whether we supply the artwork or you prefer to send a final version of your own design, once the printed item has been proof read and approved and payment made, we can not be held responsible for mistakes in text or layout. If you wish to send in your own designs, we strongly suggest that you are as sure as you can be that you are sending us the final version. Any further changes or adjustments will incur further set up charges. TechnoVisual do not charge any set up fees for printing and duplicating a one-off disc, however, we can send a prototype if you would like to see one. TechnoVisual do insist on charging a one-off set up fee including sending you a full prototype, for all jobs including packaging with printed artwork eg. digipacks, printed card wallets, full size jewel cases etc. This setup/prototype charge is for sending you the relevant templates, for checking your artwork to make sure it will work with the packaging, for setting up this artwork on our cutters and printers and finally for making up a one-off pack, which we mail to you using Royal Mail. Once the prototype has been signed off, we ask for full payment at this point. We will not need to make this charge again if you return for more packs of the same type, we always keep a copy of your pack, master disc plus the specification used on file for use at a later date. We charge various amounts for the set up/prototype depending on the type of package required, it will vary according to how complicated it is to set up the initial artwork, plus the time it takes to make a one-off pack. If the pack consists only of printed inserts e.g. 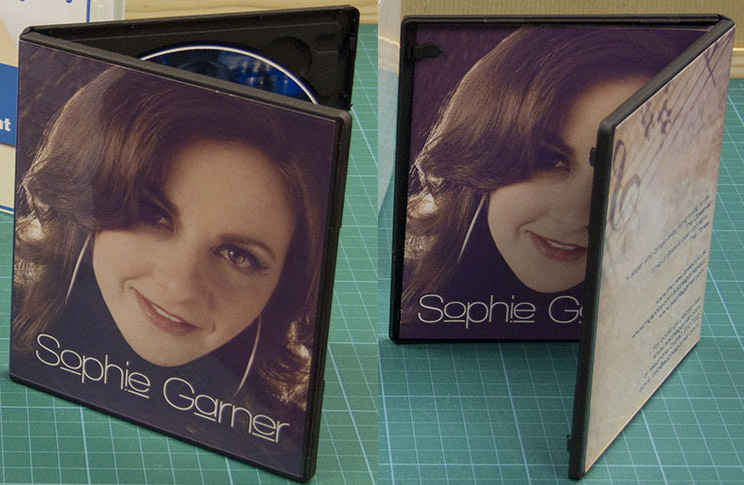 a DVD case insert, the prototype fee is less to reflect the shorter set up time. We do not insist on the client taking up the prototype with slimline jewel case inserts or plastic wallet inserts, though we still advise you do so. ~ Single disc 4 panel digipack with booklet up to 8 pages stuck onto the inside front panel of pack or in a plastic pocket - Standard Digipack - £28.00 plus vat Premium Digipack - 34.00 plus vat. 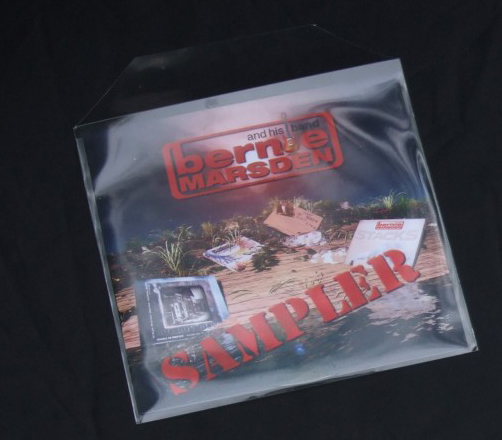 ~ Single disc 6 panel digipack with booklet up to 8 pages stuck onto the inside front panel of pack or in a plastic pocket - £35.00 plus vat. 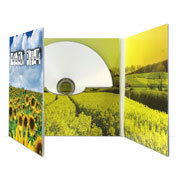 ~ A DVD and DVD case or PP case prototype = £12.00 plus vat incl. postage. 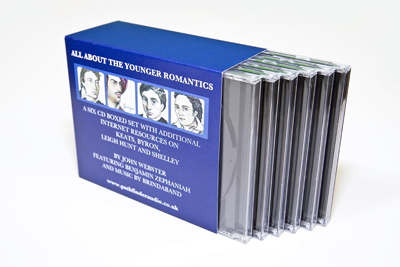 ~ A Standard Size Jewel Case prototype consisting of two inserts and a CD = £15.00 plus vat incl. postage. 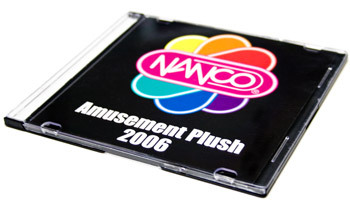 ~ A S/L Jewel Case prototype consisting of one insert and a CD = £10.00 plus vat incl. postage. DISK MATCHING - We do need to also point out at this point that we will try to match the disc to packs if this is required as closely as possible, however the printing method and surface type is completely different for both products and if we feel we have to spend longer than usual to get a close match, we will let you know first as this will incurr further charges. Once the prototype is approved, full payment is then required before we can commence production. TechnoVisual does insist that you take up our prototype/proof service for most of our printed packaging, however we do appreciate that there may be circumstances where you do not require the whole package and perhaps only require a run of printed inlays e.g. DVD inlays and in these circumstances we would normally charge a £6.00 plus vat proof cost. For more details please see our short run printing page.